On An Overgrown Path: What happened to the native Tibetan people Mr Barenboim? What happened to the native Tibetan people Mr Barenboim? 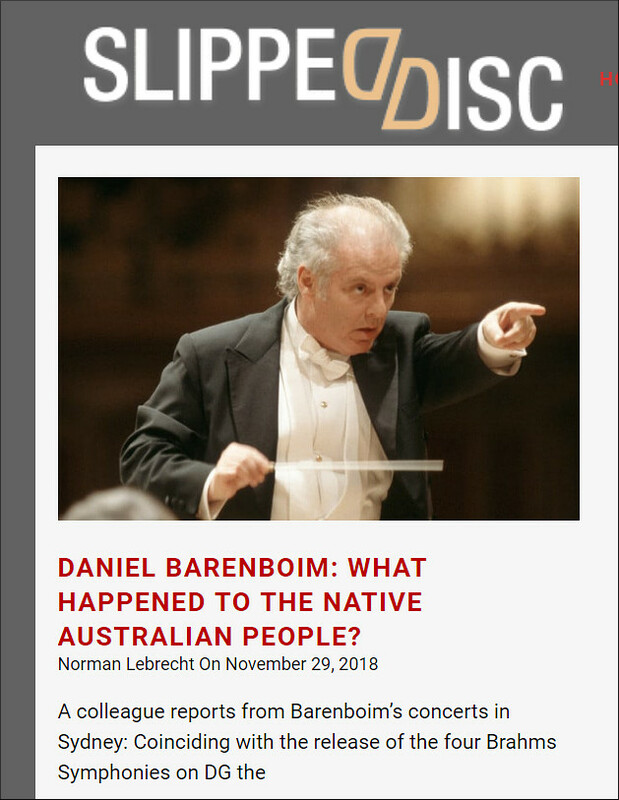 Norman Lebrecht reports that at his recent Sydney concert with the Staatskapelle Berlin Daniel Barenboim dedicated the performance to the memory of ‘native’ Australians. The conductor then went on to say "Any country in the world needs to account for its past before being able to be accepted into a society of nations". 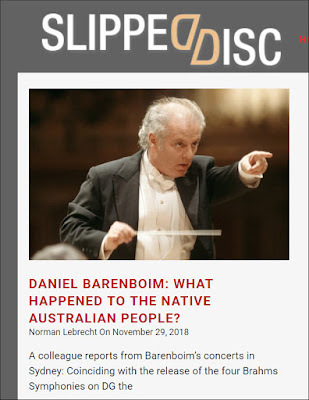 I have searched Slipped Disc and elsewhere in vain for reports of Daniel Barenboim dedicating his concerts in Beijing to the native Tibetan people. It seems any country in the world needs to account for its past before being able to be accepted into a society of nations. Unless of course that nation has a potential classical music audience of 1.4 billion and a totalitarian government that welcomes self-serving and compliant celebrity musicians with open arms while still refusing to tolerate any dissent on its reprehensible treatment of the native Tibetan people.